The Corinthia villa hotel & suites is designed to cater for the corporate market with top quality accommodation, fine dining as well as state of the art conferencing, training, executive meeting facilities and corporate night-out celebrations. It is a 4-Star hotel with internationally trained staff offering you quality and personalized service. We go the extra mile to provide our guests with exquisitely tailored and exceptional services. This hotel is situated at No 9, Arochukwu street, Area 11, Old CBN by old ferma, Garki 2, Abuja, Nigeria. The Corinthia villa hotel & suites a lot of rooms all with modern furnishing. Room categories include the Deluxe Suite, Royal Suite, Business Suite, Executive Business Suite and Presidential Suite. Some rooms have balconies overlooking the beautiful skyline of the city. 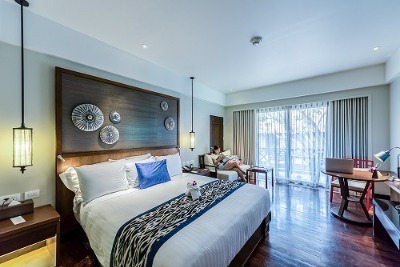 Each room features a spacious bathroom, king-sized beds, cable connected LCD TV sets, refrigerators and air conditioners. Sitting and work areas include an arm chair, desk; complete with a media and charging Station, executive work chair and desk lamp for better concentration. The restaurant's menu has a long list of local and continental dishes, as well as Chinese cuisines served at the premises. Also, the bar stock soft drinks and alcoholic beverages. Buffet breakfast is also one of the awesome services on offer at Corinthia Villa Suites, Abuja. While enjoying a cocktail by the pool bar, guests are welcomed to take a dip in the swimming pool and also enjoy workout session at the well-equipped modern fitness facility. A number of facilities are available Corinthia Villa Suites. These include free WiFi, a swimming pool, a fitness centre, restaurants and a bar. Guests at this hotel will have more time to enjoy their stay at the hotel and find it easier to access the tourist attractions at the capital. Guests can also take relaxing dips in the pool. The hotel offers additional services on request such as 24-hour front desk, shuttle service, Concierge service, Luggage storage, Express check-in/check-out, Cleaning services, Room service, Live Band Entertainment, Conference facilities, Event Hall, Business Centre, Ironing service, Dry cleaning/Laundry service and Car Hire Service. Q: Does Corinthia Villa Suites offer free wifi? Q: Does Corinthia Villa Suites have a swimming pool? Q: Does Corinthia Villa Suites offer complimentary breakfast? A: Yes. There is an on-site restaurant that served guest with local, Chinese and Continental dishes. Q: Is there a fitness centre/gym at Corinthia Villa Suites? what type of equipment are available? Q: Does Corinthia Villa Suites have a restaurant? Q: Does Corinthia Villa Suites allow smoking in rooms? The Corinthia Villa H﻿otel & Suites is a top-class hotel in Garki 2, Abuja. It was a wonderful experience. The setting was fantastic, quiet environment and services were cool. It is highly recommended. I just hope that the standard will be maintained and possibly improved even better. Have nice pictures of The Corinthia Villa H﻿otel & Suites?